Home Internationals Thank You, Israel Dagg! One of the most exciting rugby players of the modern era has announced that he has retired from the game with immediate effect. 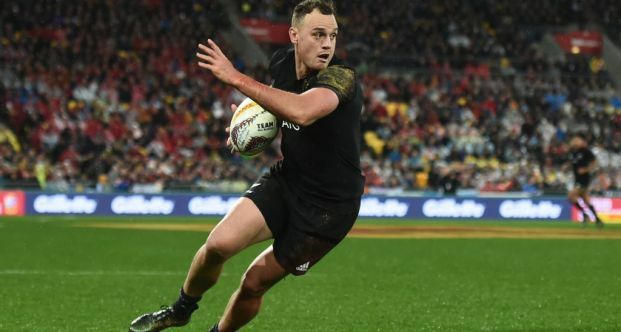 Israel Dagg, who made 89 appearances for the Crusaders, after 25 for the Highlanders, and scoring 273 points in Super Rugby, has been forced to call it quits as a result of a knee injury that has plagued him for the last two years. 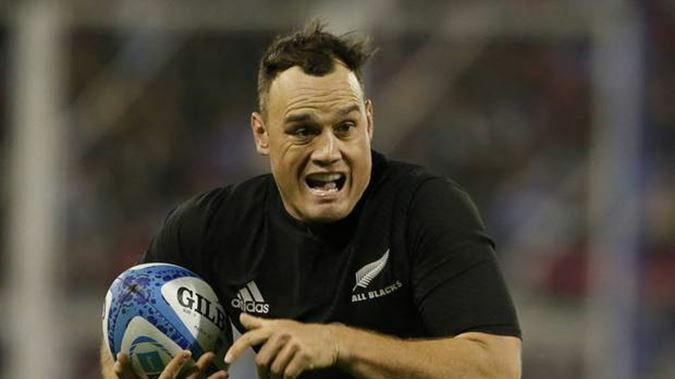 Dagg also played 66 Tests for the All Blacks, scoring 138 points and 26 tries in the coveted black jersey, since bursting onto the scene in 2010, he played 3 games for the Junior All Blacks back in 2009. He will remain with the Crusaders squad for the remainder of their 2019 campaign in a mentoring role. The 30-year-old says that decision to hang up his boots wasn’t a difficult one – not when his knee would fill with fluid each time he ran and meant walking even became a challenge. Plagued by serious injuries since 2015, when a number injuries robbed him of game time and form which saw him miss out on the Rugby World Cup, Israel Dagg made his comeback by returning to club rugby, but then he suffered a shoulder injury during his 50thgame for the Hawke’s Bay Magpies. This injury required surgery to his shoulder, and resulted in the first of his great comebacks to the game. After recovering from the surgery he returned to the Crusaders in 2016, where great form saw him back in the All Black 15 jersey. After scoring tries in two Tests against the touring Welsh team, he was moved to the wing for the Rugby Championships. Two more tries against Australia in Wellington cemented his place as the 1stchoice right wing, and he ended the 2016 Rugby Championships as the joint highest try scorer along with team-mate Ben Smith. He sat out the All Blacks’ only loss of 2016 against Ireland, but was back in the starting XV for the rest of the November tour. In 2016 Israel Dagg scored 10 tries in 12 games for the All Blacks, making him their top try scoring of the season, ahead of Beauden Barrett and Ben Smith, who both notched up 9. 2017 did not start well, and he missed a chunk of the Crusaders season after knee surgery. However, he staged yet another comeback from injury and was back in the All Black lineup for the Test series against the British & Irish Lions, and was one of the stand-out performers in the 30 – 15 win in the 1stTest. Playing fullback in the 2ndTest, lost 24 – 21, he started the third Test back on the wing, becoming the 2ndmost capped All Black wing in history as he passed Jonah Lomu and John Kirwan on the record table. In the 2017 Rugby Championships he again sat out with injury in the first two Tests against Australia, but returned against Argentina, scoring a try before he suffered yet another knee injury, the final one to a knee that had already taken too many knocks, and that would ultimately end his career. After the injury against Argentina Israel Dagg once again fought hard to come back into the game, with surgery and a variety of rehabilitation attempts, including receiving stem-cell treatment to the troublesome knee. When he was finally able to return to the field for the Crusaders, he didn’t get through two games before Brumbies wing Chance Peni poleaxed him in a dangerous tackle in Canberra. Whilst many think it was that tackle that ended his career, Israel Dagg is not pointing fingers. “I can’t really nail it on that . . . it didn’t help but it’s all part of rugby, it’s a physical game, you’re going to get into some awkward positions and scenarios,”Dagg said. Later in 2018 he signed on to play for the Canon Eagles in Japan, but Dagg’s knee only got worse and he was limited to just a few appearances late last year. The troublesome knee finally led to yet another meeting with the medical specialists at the start of the 2019 year, and the rest is history. The best stories in rugby are about players who refuse to allow long-term injuries, fluctuations in form and selection snubs to drag them down. Israel Dagg is one of those stories. He is an example to everyone:- Whether you have taken a knock on the playing field, at work, or in life itself, you can keep going! Israel Dagg was a wonderful player to watch when he was on form and at his physical best. He had sublime handling skills, superb positional nous, top-class tactical understanding, and wonderful running skills. A silky attacker and a solid defender, he was one of the best. He also played the game with s surplus of enjoyment. The smiles said it all. His positive attitude also inspires. When he found himself on the wrong end of the selectors’ decisions, there was no sulking. His reaction to being dumped by the NZ selectors was impressive; his attitude couldn’t be faulted and he came back with total focus and commitment. But it is not just as a player out on the field that Israel Dagg inspires. It is also in the way that he kept trying to overcome the odds but, eventually, had to admit that the crook knee that dogged him in recent seasons wasn’t going to allow him to retire on his own terms. In the end his knee had the final say. Thank you Israel Dagg, it was a pleasure to watch you play, and we wish you only the very best in retirement. You are the very best of what rugby is all about.